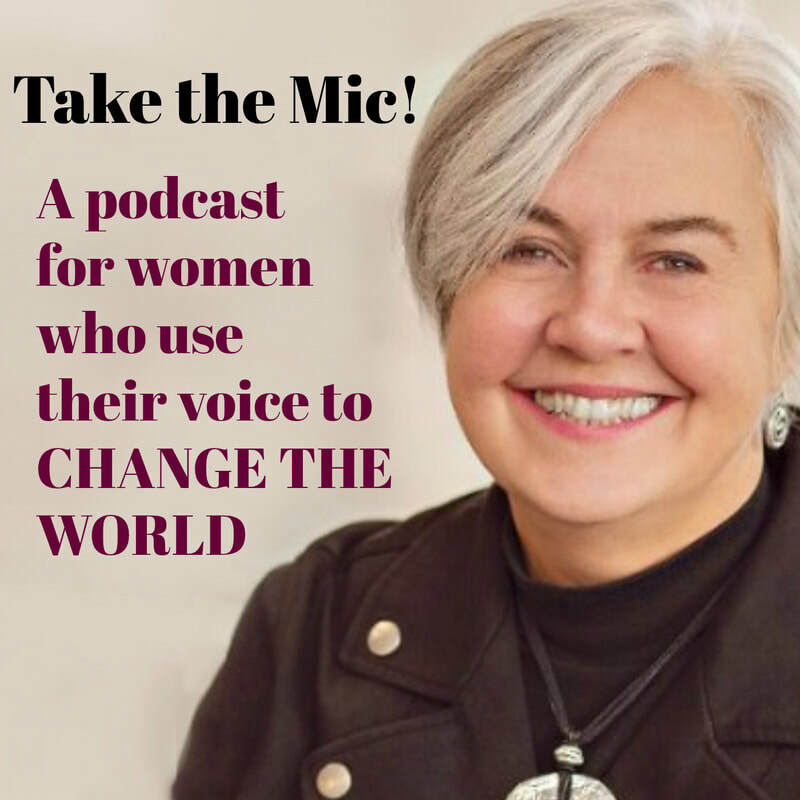 Take the Mic: A podcast for women who use their voice to change the world. Sign up here so you won't miss podcast updates! Do you want to use public speaking to change the world? Then Take the Mic is the podcast for you. “Take the Mic” is a podcast about women who use public speaking to change the world. You’ll be inspired by activists, advocates, candidates, and changemakers of every kind - from famous figures to local heroes. Whether they are a seasoned speaking expert or a relative newcomer gaining confidence, guests will share their speaking journey and tell us how they use speaking to reach new audiences, build support for their cause, and learn about themselves. You’ll discover how they build confidence, how they boosted their speaking skills, and how they deal with challenges that face women speakers. And we’ll be digging for the insights and tips that can help you be a better speaker. We'll also be talking to the coaches and organizations that support women in their speaking journey. So if you use public speaking to change the world – in any way, on any stage – whether it’s in a large hall, the steps of city hall or even a boardroom, let’s connect. Listen in, or contact me about being a Take the Mic guest. What would you like to hear guests talk about? What’s your burning question about speaking up? Tell me in the comments section or email me here. Feedback? Guest requests? Topic requests? Drop me a line below! Do you know of an activist, advocate, candidate or changemaker who is using speaking to boost her impact? Or does that describe YOU?